Today, May 24, Tom Six and a crew of people with (hopefully) strong stomachs begin production on the long-gestating final installment of the now infamous Human Centipede franchise. Just days ago we brought you word the film would be shot in Los Angeles, and this morning we have a few new production details to share. 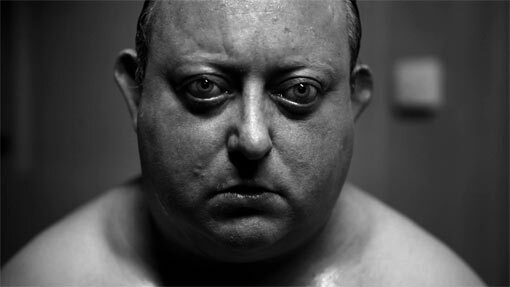 According to a source who spoke exclusively with Bloody-Disgusting, it seems the final piece of The Human Centipede saga will take place (and be filmed in) a prison. No further plot details slipped out just yet, but we are foaming from our horror-loving mouths at the thought of Six letting his madness loose on group of crazed inmates. Whether or not that is what will happen remains to be seen, but knowing Six it’s probably not too far from the truth. Casting news also continues to trickle in this morning, with former stars (and pede-builders) Dieter Laser and Laurence R. Harvey returning, as well as Six himself stepping in front of the camera. Robert LaSardo, Abraham Rubio, and William Guirola are also rumored to be on board. UTG is continuing to monitor the information coming out of The Human Centipede 3 and will update you as soon as more information become available. The film is scheduled for a 2014 release through IFC films, but no specific date has been revealed at this time.